Meet Ellie, the newest member of Wakefield Riding for the Disabled. We caught up with the Wakefield RDA team to find out a little more about their newest pony, and what makes her whinny. Wakefield Riding for the Disabled have welcomed a new addition to their family, a dark bay Cob called Ellie. The lovely little horse was bought with Torque sponsorship money and joins Zach, and the rest of their horsey herd at their base in Wakefield. Ellie is settling in quickly to her new home and making friends with all the riders already. Her favourite things are hay, and being cosy in her stable, snuggled into her straw bed – hardly surprising as the days get colder and the nights longer. She’s very inquisitive and loves to know what’s going on around her, whinnying every time someone enters the stable yard, particularly when it’s time for dinner. 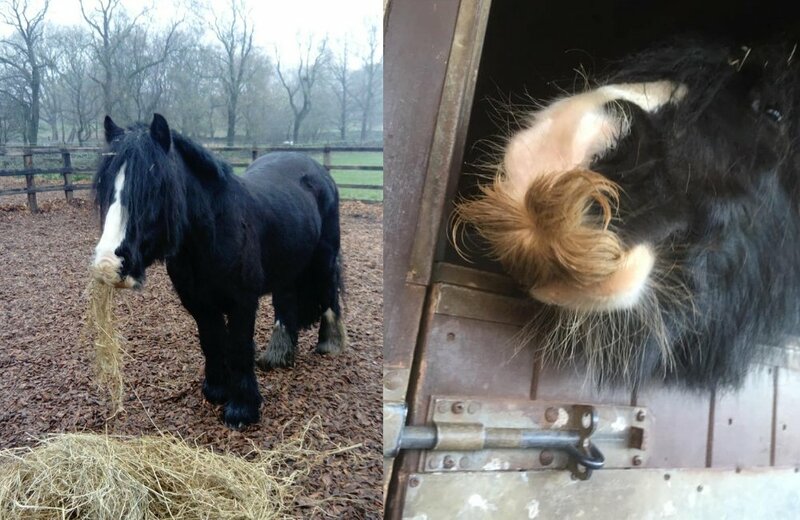 The team at Wakefield RDA describe her as ‘cute and polite’ and are particularly fond of her most unusual feature, a great big curly moustache, which we think makes her even more loveable! Unlike Zach, who had been feasting on too many wine gums before joining Wakefield RDA and was (a little) plump, Ellie is slightly underweight, so the team are feeding her up and making sure she is at the height of her health whilst she begins her training. We’ll be sure to share more Ellie and Zach updates with you as they continue on their journeys.